Every year, the United States of America sends billions of dollars to countries around the world in the name of financial aid. Some are genuinely to help poor countries. Others are to buy their alliance, obedience or silence. In the case of Palestine, the U.S. is by far the largest donor of financial aid to the Palestinians since the signing of the Oslo Accords in 1994. 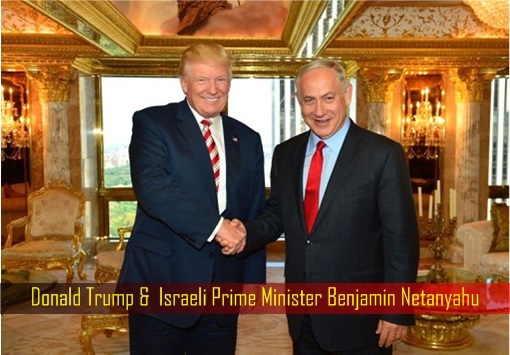 America gives away US$600 million – every year – to the Palestinians. 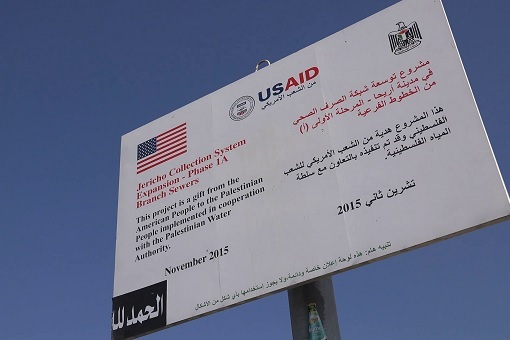 Since 1994, Washington has provided the Palestinians with more than US$5.2 billion through USAID. But USAID is just one of three types of financial aid. The second type is the economic support for law and order in the Palestinian Authority. The third is the U.S. support for the United Nations Relief and Works Agency (UNRWA). The USAID money is used for developing and sustaining the Palestinian Authority, including support for debt relief (such as helping to pay the medical debts of Palestinians in Israeli or other foreign hospitals), sanitation, economic development in the public and private sectors, infrastructure development, education, governance, health and essential humanitarian assistance to the Gaza Strip. 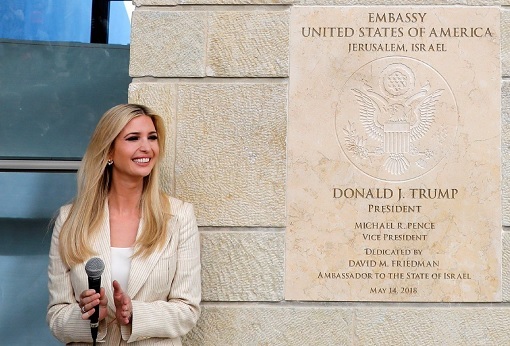 After President Donald Trump declared in December 2017 that the U.S. Embassy will be moved to Jerusalem, a recognition that the city is the capital of Israel, the Palestinians were angered and refused to cooperate with the United States’ efforts to jump-start Israeli-Palestinian peace talks. In retaliation, Trump threatened to end financial aid to the Palestinians. The exact amount of the U.S. financial funds to be cut is not clear, but reportedly US$230.1 million package in economic support funds for the Palestinians had been approved in 2017. The U.S. had planned to give the Palestinians US$251 million for good governance, health, education and funding for civil society in the current 2018 budget year that ends on Sept.30. Earlier this month, the U.S. had only released about US$60 million of the 2018 money, suggesting that Trump administration was planning to punish the Palestinians for their disobedience. The loss of the assistance is almost certain to further provoke the Palestinians against the Trump peace plan. But the financial aid to the Palestinians has been a joke from the beginning. Long before Trump thought about cutting aid to the Palestinians over their refusal to work with his administration in the peace process, the U.S. Congress was already working to freeze assistance to the Palestinians. 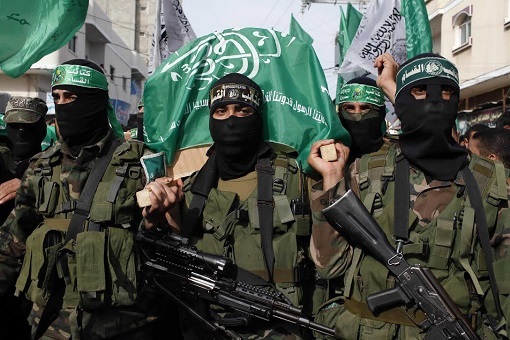 Apparently, the Palestinian Authority has been using the U.S. financial aid to pay monthly stipends to the families of terrorists who kill Israelis. The Palestinian Authority’s 2017 budget for payments to inmates in Israeli prisons and so-called “families of martyrs” is equal in sum to about half of the foreign aid. A staggering US$344,313,451 was allocated to the families of those with members who were “killed or wounded in the struggle against Zionism,” including those killed while committing attacks against Israelis. The U.S. financial aid was also used in Gaza, where Hamas has governing authority. The funny part is the U.S. actually considers Hamas group, which has launched multiple attacks against Israel, a terrorist organization. This is not the first time that Trump has cut financial aid to the Palestinians though. This is the second time the U.S. president has done that. In January, the U.S. made drastic cuts to its contribution to the UN agency for Palestinian refugees UNRWA that forced the body to cut hundreds of jobs and contracts for Palestinian workers. Still, Trump hasn’t decided what to do with US$65 million in “frozen U.S.” funding for the UNRWA. But chances are the UNRWA’s money could be scrapped too by Trump. From Indonesia.half of them enter sarawak illegally.